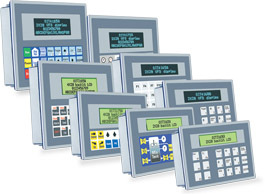 Maple Systems Inc. is one of our leading suppliers of operator interface products, including Remote HMIs, text-based OITs, panel mounted computers, graphic HMIs, and PLCs. Maple System displays meet strict certification standards for harsh industrial environments including support for Class I, Division 2 installations. 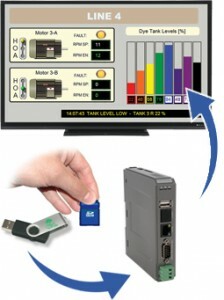 Maple Systems RMI units are “remote” in the fact that the monitoring element is physically separated from the display. RMI solutions offer communication to a variety of wireless displays including tablets and smart phones. The touchscreen display offers a high-tech touch experience with the ability to swipe, pinch, and zoom, just like on a wireless tablet; Or, turn an HDMI-compatible TV or monitor into a large HMI-style display via HDMI cable. 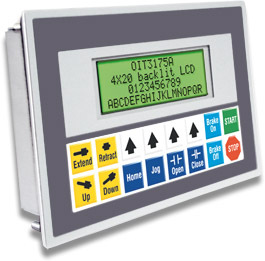 The MicroOIT Series have alphanumeric displays with membrane-style keys. 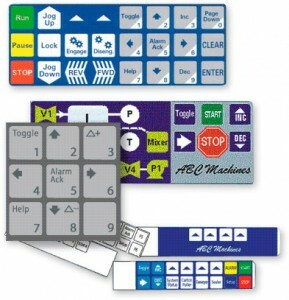 Each key is programmable, allowing you to define a unique keypad to match your particular application. The MicroOIT Series is a powerful and durable operator interface. The Micro OITs, Graphic HMCs and HMIs carry the Class 1 Div II rating (from Underwriters Laboratory), which allows these devices to be used in classified areas such as harsh industrial environments and a wide range of temperatures. 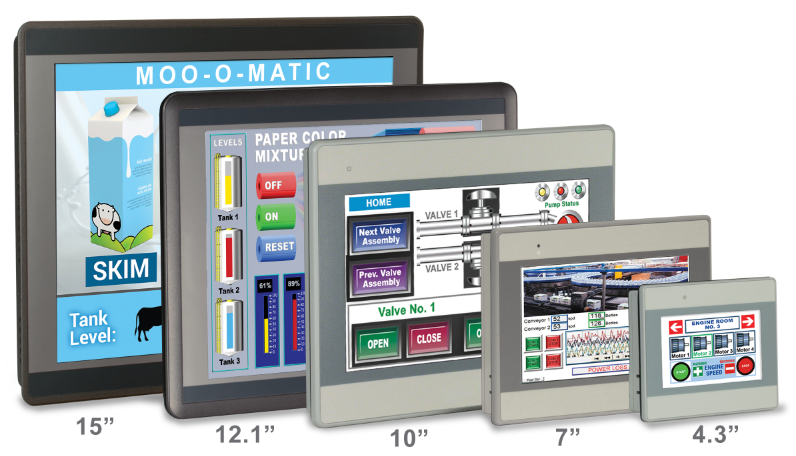 Maple Systems’ Touchscreen Open HMIs offer a host of features. 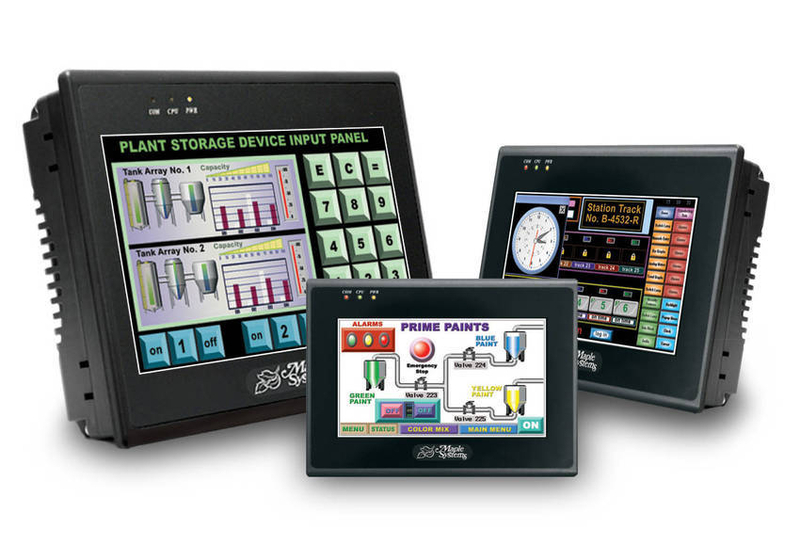 Choose from 7″ to 15″ displays, these Open HMIs are loaded with Windows CE operating system to meet your needs and your budget. 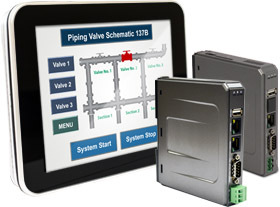 The HMC merges entire functionality of a Controller and an HMI into one unit. It provides visual feedback and direct access of automation control systems on factory floor, or anywhere an operator interface is needed. Touchscreen Panel PCs are the perfect communication solution for every application. The panel PCs have simultaneous support for multiple controllers and devices, full network support and data entry & monitoring from a remote location. Connection via USB, Serial and Ethernet ports. Alternatively, please fill in the inquiry form or speak to one of our friendly staff on +61 2 9820 5055.